How much is inheritance tax? No one wants their estate to be subject to more inheritance tax than is absolutely necessary and, for that reason, inheritance tax planning is one of the most important things you can do for your loved ones. With careful forethought, you can ensure that the maximum possible portion of your estate can be passed on to your beneficiaries of choice. 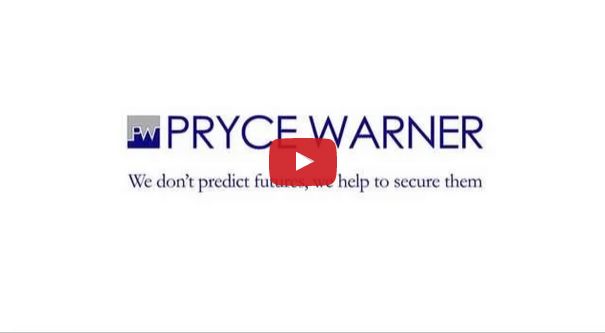 Pryce Warner provides inheritance tax planning for clients all around the world, which means we can offer you the best inheritance advice to suit your unique circumstances. As an expat, although inheritance planning may take a little more consideration, you may also benefit from living in a country with more favourable inheritance tax laws. However, if you have assets in more than one country, we would urge you to take professional advice when it comes to inheritance tax planning so you can set things up to be as advantageous to your beneficiaries as possible. In the UK, the inheritance threshold of £325,000 for individuals and £650,000 for married couples has been frozen until 2019. This means, as individuals assets grow over the next few years, more and more people will become liable for UK inheritance tax. However, depending upon where you live in the world, you may be subject to less of an inheritance tax liability. There are many ways of reducing your inheritance tax liability, and Pryce Warner can advise you on on inheritance tax planning to suit your individual circumstances. If you’re an expat, you can reduce your liability significantly with an overseas pension scheme such as a QNUPS. What you can do and how much you can save will depend upon which country you live in and the laws that govern inheritance in that country. Subject to circumstance, it may be desirable to set up wills and plans in alternative countries to reduce your tax liability. If you are divorced, you can decide whether or not to leave anything to your former spouse/s. For questions relating to a particular circumstance or jurisdiction, please contact one of our expert advisors. UK – All assets, including trusts and gifts made within the seven years prior to death, are subject to a 40% rate of tax over and above the threshold of £325,000 for individuals and £650,000 for married couples. This threshold is frozen until 2019. France – French law states that children must receive some form of inheritance, set at a rate of €150,000 per parent, per child, equating to €300,000 per child in a two-parent family. If you are a resident of France for tax purposes, your worldwide assets will fall under French jurisdiction. France and the UK have a dual taxation agreement, meaning that you will only need to pay tax once. Spain – If you are a Spanish resident with regard to tax, your worldwide assets will fall under Spanish jurisdiction. If you live in Spain but are not taxed there, then you will only pay Spanish tax on the assets you own in Spain. Children, spouses and parents have an allowance of €15,956, while brothers, sisters, aunts, uncles, nieces and nephews have an allowance of €7,993. Over and above these allowances, the estate is taxed on a sliding scale. Hong Kong – Estate duty was abolished in Hong Kong in 2006. Obviously, these regulations are changed periodically in different countries, so always check on national government websites for updates.